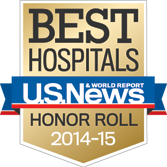 As one of the top ten programs in the country, we are recognized internationally for our excellence and innovation in gastroenterology and hepatology. Our world-class reputation comes from the unparalleled success of our clinical programs and research advancements. Here, the nation's top clinicians and scientists work side by side in a multidisciplinary environment, continually transforming research discoveries into patient care. As a result, we are uniquely poised to offer our patients state-of-the-art technology, clinical trials that may not be available at other hospitals, and cutting-edge treatment approaches that are safer and more effective. With patient care being the highest priority, our experienced team of physicians and staff will partner with you and your referring physician to ensure continuity of care and guide you through your treatment process. The Center consists of a comprehensive array of clinical services to coordinate your care and wellness. Please contact us to schedule an appointment and consultation referral at (212) 305-1909.